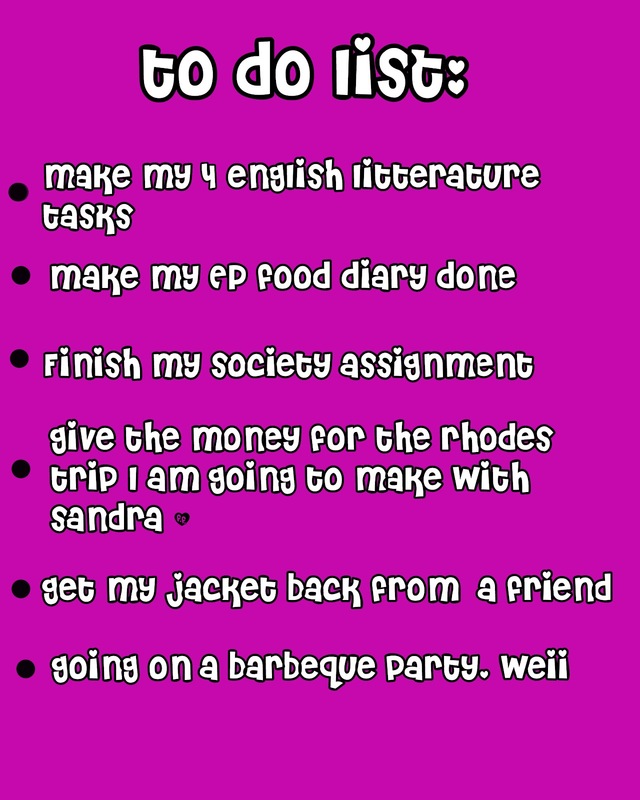 jawa von cherié: To do list! 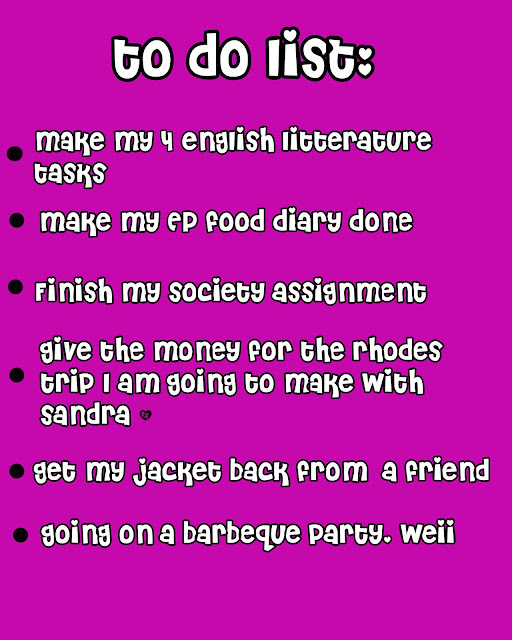 I got a 4 day off from school, (yey) so I have made a "to do list" since I was so bored and needed to write down things that got to get done. So if I take any pictures from now on it will only be with crappy cam pictures, wei *not*.